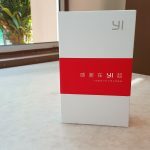 The traditional Bluetooth single-ear headset is reaching to it sunset era where you don’t see many options available online or retailer. It has evolved into stereo Bluetooth headphone where most of it includes a microphone to make calls and video streaming. 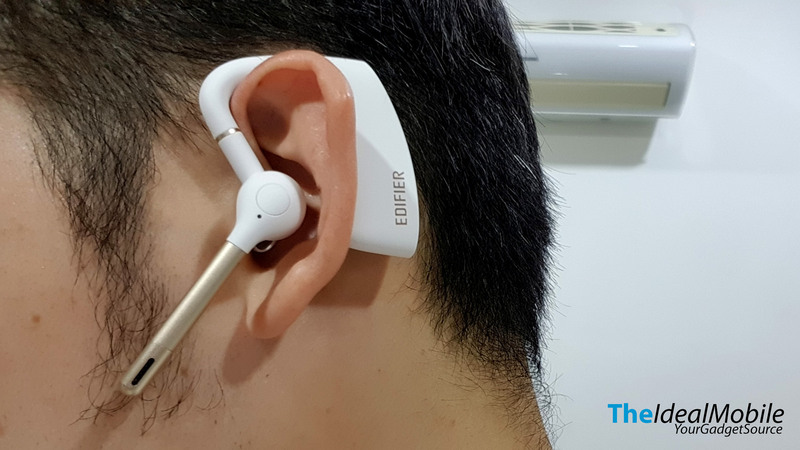 But there are still demands of mono/single-ear Bluetooth headset due to its size, safety use on outdoor and voice quality. 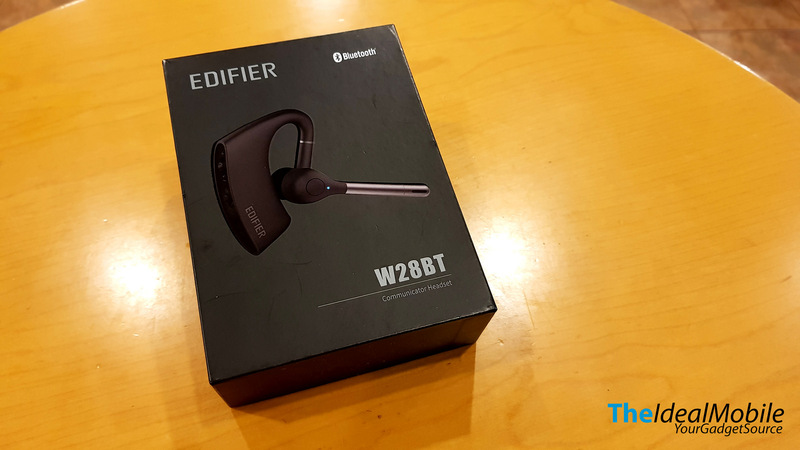 The Edifier has this W28BT Bluetooth earphone that is lightweight professional design and can connect to two Bluetooth devices to easily swap between work phone and personal phone. It also remembers the volume settings. 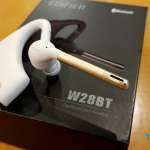 The first impression of this Bluetooth earphone is the big size ear hook which I believe the battery is placed. 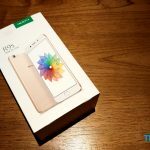 It has it’s features and pros over to smaller size competitor. The bigger the earphone means more room for bigger batteries and gives longer talk-time and standby time. The W28BT battery life is up to 8-hours of uninterrupted chatting and 20 days of standby time. Why I would put safety as one of the features, the needs of staying caution surrounding is crucial for those who work outdoors. Covering both ears walking down the street is like covering both eyes driving – just a metaphor. Aside from that, the ear hook provides better hold and grip on the ear. There are physical volume buttons on the ear hook that easy to reach. 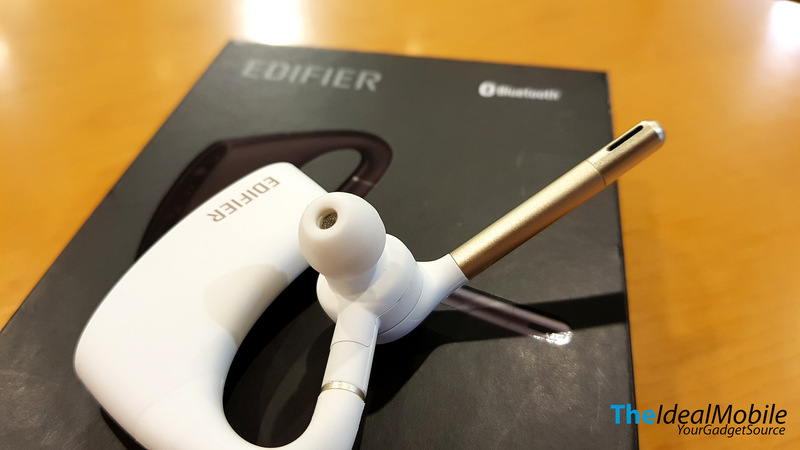 The earpiece is fully rotatable where you get to adjust the angle that fits your ear regardless left of right ears. Ranges are very important for a Bluetooth headset. 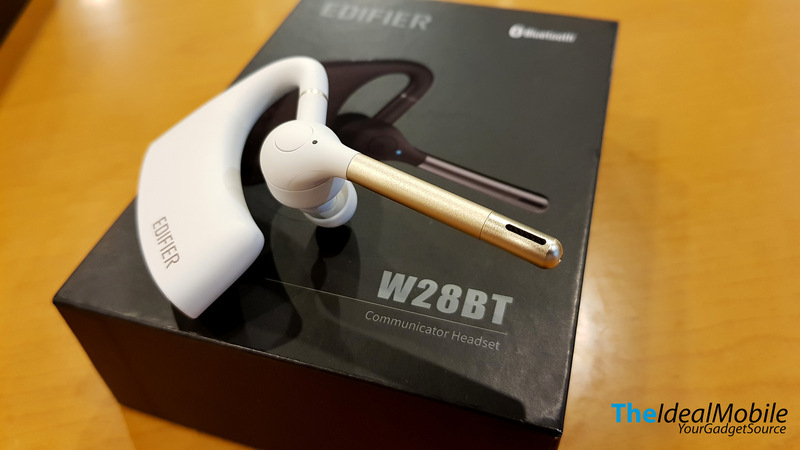 W28BT use Bluetooth 4.1 that support HFP profile, ensures audio clarity during conversations and give wireless range up to a decent 10 meter (about 30 feets). 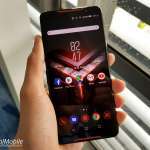 The noise cancellation was good where it has built-in two mics as one of the mic dedicated to detect ambient noise and then cancel out using adaptive digital signal processing algorithms. 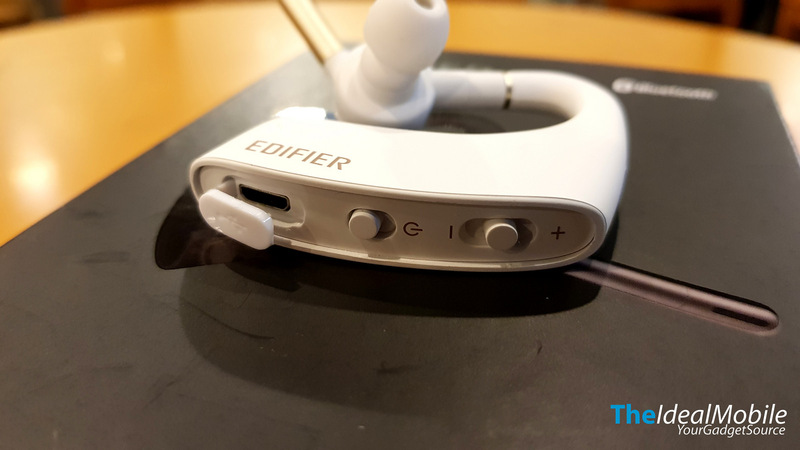 The pros of the Edifier W28BT are long battery life, long range, fully rotatable to support both sides of ears and good voice quality. The only cons of this headset are the big size ear hook that doesn’t fit perfectly over glasses. The Edifier W28BT is available at major IT retailers or Lazada Malaysia for RM 109. It comes in two colors, Black & White.